Jennifer Trammell is Digital Marketing Director at NewsBank. She helps libraries ensure their students and patrons have access to the research information they need. A graduate of Northwestern University’s Medill School of Journalism, she previously worked as a news anchor and reporter across the Midwest and in Florida. Think about this word: melodrama. What image comes to mind? Brooklyn College theater historian Amy E. Hughes began her presentation at the 2019 American Library Association Midwinter Meeting with that short thought experiment, asking attendees to picture melodrama. Did you “see” what they did? Many in the audience had envisioned something akin to the “Railroad Rescue,” a scene that originated in Augustin Daily’s Under the Gaslight, a popular play which premiered in New York City in 1867. But as Hughes would reveal, the “Railroad Sensation”—as it was called then—has a “surprisingly complicated and convoluted history.” View the full presentation. Throughout her talk, titled “Dramatic Effects: The Impact of Theater on 19th-Century U.S. Culture and Society,” Prof. Hughes provided a fascinating overview of the 19th-century theater industry. She shared some of the discoveries her recent research has re vealed, and she unpacked the little-known history of that “Railroad Rescue,” pointing out its significant political and social factors. Aron, professor of history and Robert N. Burr Chair at the University of California, Los Angeles, described a period of U.S. history in which Americans and Indians found common ground—at least for a time. He emphasized that the alternative history he describes actually happened, unlike “alternate history”—a genre of fiction in which one or more historical events have a different outcome from what really occurred. Feller began by describing the mission of “The Papers of Andrew Jackson”—the major project he directs at the University of Tennessee—to create a complete literary record of the nation’s seventh president by, among other things, tracking down every letter Andrew Jackson wrote, and every letter written to him. Digitized documents and the ability to use keyword search have proven critical to the project’s continued success. “Digital databases, such as newspapers, now enable us to find things that we never would have been able to find before,” Feller said. He is also optimistic that Readex’s digital edition of The Territorial Papers of the United States will yield additional new findings critical to a fuller understanding of Jackson’s presidency. Watch the interview to learn how a creative search strategy enabled his research team to find previously unknown letters, published as “curiosities” in newspapers, long after they were written and far from where they originated. 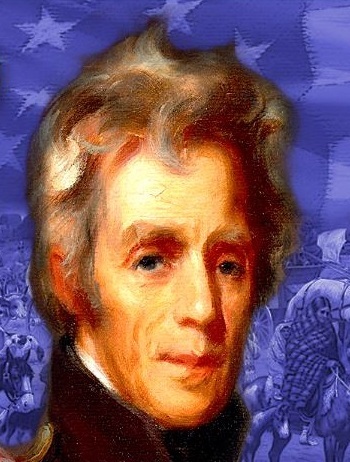 Today, many Americans know a very different Andrew Jackson—a slave owner and the architect of Indian removal. In his presentation, Feller explored this generational shift and why the nation’s view of Andrew Jackson has changed so dramatically over the decades. When historian Arthur M. Schlesinger Jr. published The Age of Jackson in 1945, he devoted a scant two sentences of his book’s 523 pages to Indian affairs. Of Schlesinger’s lack of focus on the topic, Feller insisted the author was not omitting an unpleasant issue to bolster Jackson’s reputation. At the time of Schlesinger’s writing in the mid-20th century, Feller noted, “Indian removal simply didn’t seem that important to [Schlesinger],” nor was it a prominent issue for his readership. Readex had the opportunity to sit down with Paul Finkelman, a leading authority on American legal history, race relations and religious freedom, to discuss the importance of primary documents in his work as a scholar and professor. Now the President of Gratz College, Finkelman has taught law and history courses at more than a dozen intuitions. 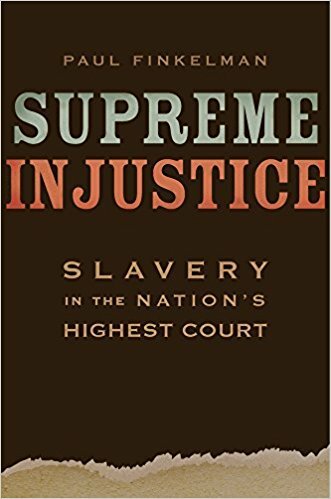 He is the author or editor of more than fifty books, including Supreme Injustice: Slavery in the Nation’s Highest Court, which will be published this month by Harvard University Press. In our discussion, Finkelman compared his work flow to that of scholars in decades past, noting how the online availability of primary sources not only fosters faster work, but also unlocks new findings in ways never before possible. Watch the highlights of our interview to learn how digital resources like the U.S. Congressional Serial Set and American Pamphlets can help students discover historical connections and energize their research. Contact us for more information about Readex digital collections for classroom and research use. We are a nation of immigrants, but sometimes it seems we forget that. Professor Paul Finkelman offered a stark reminder of this at the 2017 American Library Association Annual Conference in Chicago, and attendees of his Readex-sponsored talk left with a fresh lens through which to view today’s immigration debate. From Hollywood to Silicon Valley, from baseball stadiums to boardrooms, immigrants and their children enhance our daily lives and culture. Consider the contributions of Andrew Carnegie, Alexander Graham Bell and Albert Einstein. Immigrants, including Irving Berlin, Greta Garbo, Sophia Loren and Joe DiMaggio, have enriched our music, art, and entertainment. Think of the impact more recent innovations by immigrants—like the founding of Google and the creation of the Pentium Micro-Processor—have had on our world. Ten percent of the first Congress was foreign-born, and immigrants continue to fill critical leadership roles in our government today. Add to that a foreign-born Secretary of the Treasury and two ambassadors to the United Nations. As Dr. Finkelman noted, unless you are 100% Native American, you are of immigrants. But how quickly, as a nation, we forget. Is the United States still a welcoming haven? 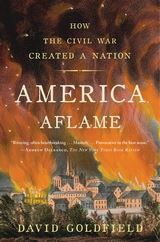 Readex recently sat down with David Goldfield, the Robert Lee Bailey Professor of History at the University of North Carolina, Charlotte , and author of America Aflame: How the Civil War Created a Nation. In our short discussion, Goldfield described how his extensive study of U.S. religious and Southern history—including newspaper editorials, church sermons and other primary source documents—enabled him to identify a critically important aspect of the American Civil War not often discussed by other historians. Professor Goldfield also explained why he uses digitized primary sources in his teaching to excite and engage students. Watch the interview to learn how online resources like The American Civil War Collection help students gain a wider view of history based on a variety of perspectives. Contact us for more information about The American Civil War Collection or other primary source collections for classroom use. That’s the lesson David Goldfield, the Robert Lee Bailey Professor of History at University of North Carolina, Charlotte, taught at the Readex breakfast presentation at the 2017 American Library Association Midwinter Meeting in Atlanta. Prof. Goldfield supported this short declaration with several poignant examples. While our minds tend to enjoy simple, clear-cut, good-versus-evil narratives, the reality is much more complex, Goldfield argued. He used his research surrounding U.S. religious and Southern history to provide a new look at the causes and outcomes of the American Civil War, first explaining why he finds the often-told story of the war “woefully incomplete.” He asked his audience of academic librarians to entertain a very different perspective on the war. Throughout his presentation, Goldfield challenged the usual chronicle surrounding the war—the familiar debate of states’ rights and slavery—and instead focused on the consequences of righteousness and the effects of removing the barrier between church and state. According to Goldfield, the Civil War represented the failure of our political system, caused by the injection of religion. In a recent webinar, Dr. Julie Voss, Associate Professor, Department of English, Lenoir-Rhyne University, shared her experience using a digital archive of 18th-century books, broadsides and pamphlets to fascinate and challenge an undergraduate class of English majors. Using the Readex Early American Imprints collection, she asked her students to select an out-of-print text and then create an original modern edition of the work. Throughout this process, they experienced the joys and frustrations of working with rare old books, expanded their repertoire of research skills, and, in the end, began to see themselves as legitimate scholars. According to our follow up survey, their expectations were met! With incredible energy and expertise, Mark Wahlgren Summers brought history to life with his dynamic interpretation of 19th-century political campaigns for the librarians and educators who attended a Readex-hosted breakfast during the American Library Association’s Annual Conference in Orlando. Summers, the Thomas D. Clark Professor of History at the University of Kentucky, where he has taught for the last 32 years, entertained the crowd with his highly animated lecture titled “Politics is just war without the bayonets”: Dirty Politics in a Genteel Age, 1868-1892. For most historians, the Gilded Age was the Golden Age of American politics. Well before football or baseball found a vogue, it was the great participatory sport. Families turned out for parades, rallies and barbecues. Campaign clubs designed ornate uniforms and hired brass bands to precede them as they marched. Eligible voters in record numbers showed up at the polls. Watch the full presentation to understand why Summers warned that to be wistful for those days is a grave mistake.